In 2005, I was a melancholic 13-year-old. Aside from starting my GCSEs and being on the edge of adolescence, one of my great childhood loves was coming to an end in the most inevitably bleak way. It was well documented that George Lucas was going to walk away from Star Wars after completing Revenge of the Sith. With this in mind, the hype was a sort of excitement punctuated with sadness, like bidding farewell to a glorious and formally great ship embarking on its final voyage across the sea. However, despite realising this fact, I was still anxiously waiting to see how Lucas would close his six picture saga that had spanned nearly 30 years. This is even taking into consideration my feelings on the prior film in the Prequel Trilogy, Attack of the Clones. That picture had left me in a state of confusion and feeling it was just okay. As opposed to an excitement that I would usually associate with seeing a Star Wars picture. May 19th came, and I thoroughly enjoyed the film, even taking in consideration that I had read the novelisation before seeing the picture. It was a great action film, with a lot of lightsabers fights and a gripping opening space battle that visually pulled out all the stops. Additionally, there was this permeating bleakness that seduced me at the time. It almost felt fitting that Lucas’ last foray in a Galaxy Far, Far Away would be dripping with an all consuming tragic edge given the story of this episode. At the same time, it felt like Star Wars itself was growing up with me as in my childhood the Original Trilogy represented a pure black and white mythological adventure. Whereas the Prequel Trilogy was introducing to me a larger world, comprised of moral dimensions, politics and history. The last aspect, in particular, appealed to me as I was seriously studying History at the time. There were scenes in Revenge of the Sith where art was imitating life, or history was vividly coming to life before my eyes. The Order 66 sequence reminded me of the Night of the Long Knives where Hitler had ordered the purge of his SA generals, as well a series of other political killings. Additionally, the creation of the Empire scene was a great example of seeing a powerful leader consolidating his power, something of which I was learning about in 20th-century History at the time. Now looking at the picture nearing its 10-year anniversary as well as now knowing that it is not the last Star Wars film, I perceive it very differently. Going back to it, I feel I never truly have a set opinion of the film because it keeps shifting based on its the strengths and weaknesses. For example, it succeeds in a central premise that Lucas has always had about the saga. He has always advocated that Star Wars could work as a silent film and that the dialogue is incidental. There are many purposefully constructed scenes that speak to this conception. 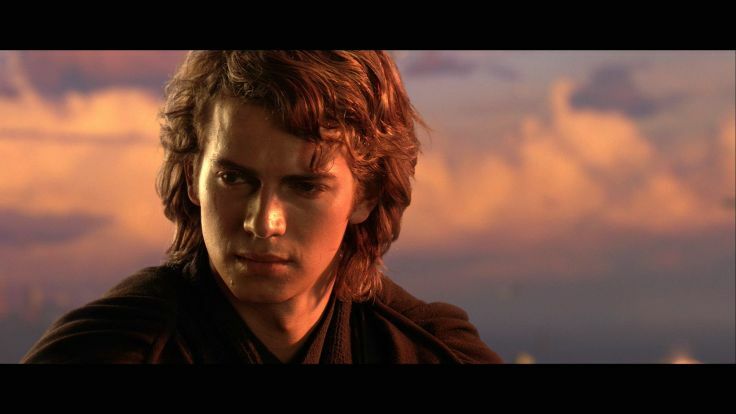 Look at the scene where Coruscant is bathed in the sunset as the camera focuses on a conflicted Anakin thinking about the fate of his wife, which is intercut with shots of Padme almost sensing his turmoil. Or even the birth of the Empire scene which is intercut with Anakin killing of the Separatists leaders, it could have been played silently as visually the audience would have understood the gravity and emotion of the situation. Additionally, the film has some of the greatest acting of the saga, particularly from Ewan McGregor and Ian Mcdiarmid as Obi-Wan Kenobi and Darth Sidious respectively. The former fuses great casualness, comic timing and heartbreaking fragility. The latter portrays a nuanced portrait of evil in the form of paternal temptation and slyness. Finally, the score by John Williams is outstanding. He creates some incredibly experimental stuff with male choral work, and emotional music, in the form of further low choir work that is particularly present in the as mentioned above Anakin /Padme scene. However for all these strong virtues, my problems with the picture come mainly from its structure. At times, it can come across as too rushed, and some scenes need to be fleshed out. Plus particular characters such as Padme suffer from this problem. George Lucas should have made the picture longer by reinserting the deleted scenes. They would have richly added to the film as well as add significance to the rest of the saga. For example, in the current version Padme feels like a mere plot device than a character. In some of the cut material, she spoke with other like-minded politicians about the early prospects for the Rebel Alliances and had a great scene with Chancellor Palpatine presenting a petition about his conduct in government. Not only would these scenes have added to Anakin and Padme’s relationship but also would have contributed to the saga as a whole. The formation of the Rebel Alliance is important, and the film’s cameos of Mon Mothma and Bail Organa would have driven this home. However, the most prominent scene that was cut was when Yoda was conversing with Qui-Gon Jinn. While this scene was remarked upon in the film, the content of what was said within was not. Within it, the Jedi Master would have revealed the true way to preserve one’s self after death. The scene would have served multiple purposes. Firstly, it services a plot point of this film that is that the Sith once found a way to cheat death and are trying to do it again. It would have been a great irony to add as it makes the title Revenge of the Sith, not quite truth, and by extension make the theme of an A New Hope much more clear. Secondly, it explains what Yoda does in his exile while on Dagobah as well as ultimately enrich his character. Earlier in the film he acknowledged his failure in the face of his order being wiped out, this is something that adds to that, by showing that he was conceptualising the force in the wrong way. It further cements an overarching theme of the saga that is the failure of institutions and dogma, in the face of dealing with problems of evil. Overall, Revenge of the Sith is a flawed but good final entry for what was then a six picture saga. Now with The Force Awakens looming on the horizon, I hope Star Wars continues to grow up with me, providing plenty of new dimensions, cinematic artistry and finally a great time at the movies.